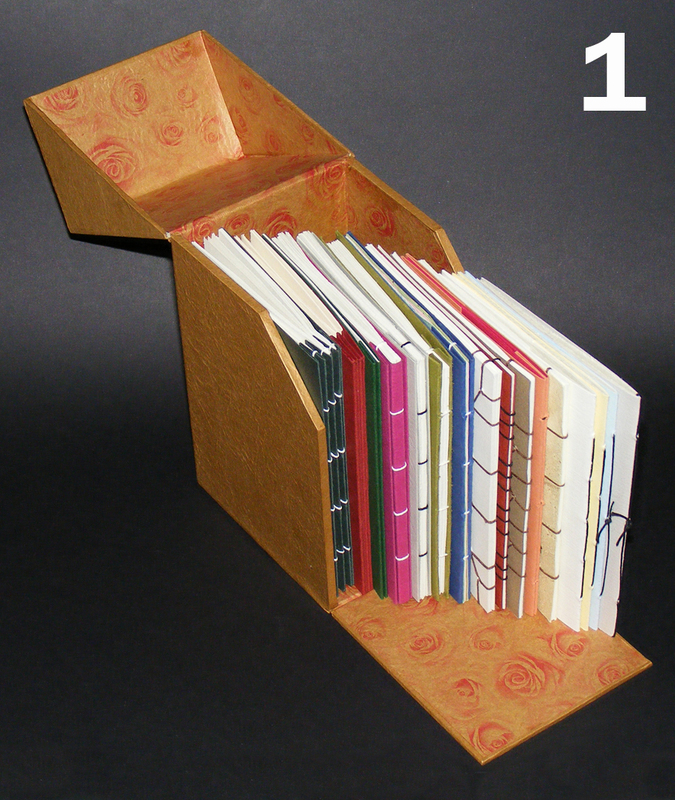 This entry was posted in bookbinding, japanese stab binding and tagged binding, bookbinding, box, japanese, patterns, stab. Bookmark the permalink. ooooh what a cooool box and even better….what is inside…omg you better hire a guard dog …what a neat idea! can’t wait to see the finished result – I am terrible at boxes, so I hope you will let us know how it goes! Love your box of treasure. Here’s a recipe for paste glue that I’ve made and used. I do wonder about the acid content from the alum so any feedback would be interesting. Make a paste of 100g flour, 12.5g alum and a little cold water. Stir in 500ml water, bring to boil, stirring, then reduce heat and simmer for 5 minutes, stirring often. Add some salt if you want it to keep for a while. 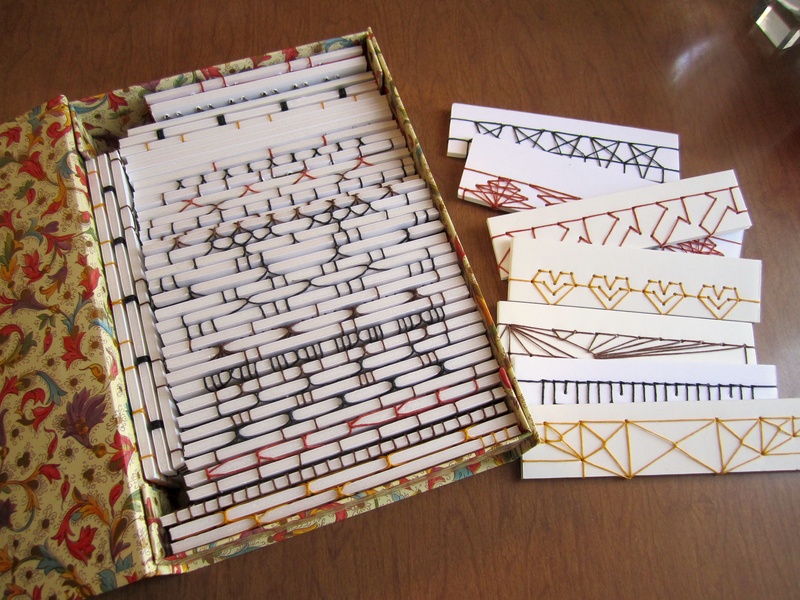 Aww… beautiful and nerdy bookbinding stuff. I love this. I made two when I was just starting out and still love getting them all out and putting them all back in again! Awesome! I’m so happy to have finally found your blog since I’ve pinned a bunch of your work – I am in love with this box of books! !